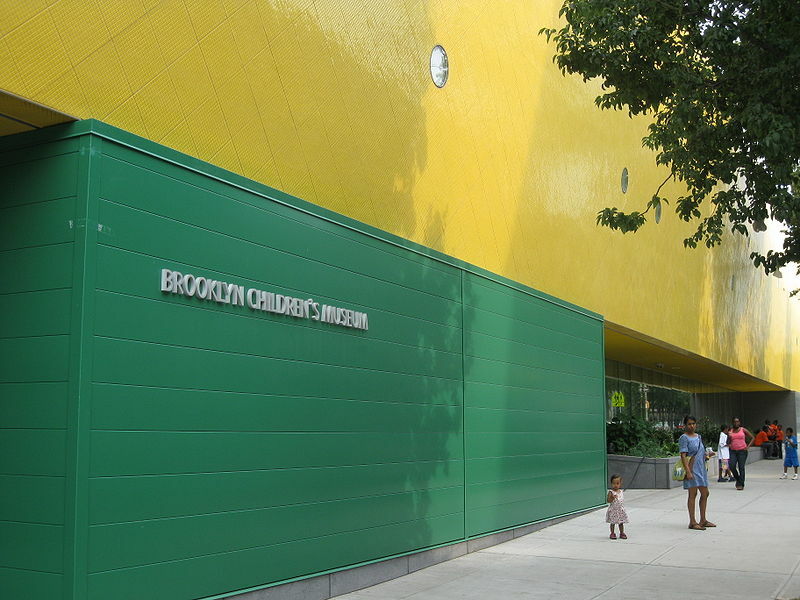 The Brooklyn Children’s Museum will open an annex, called SPARK, this Saturday, Oct. 15th, at One John St. in Brooklyn Bridge Park. The main branch is located in Crown Heights and has been a popular destination for families with young children throughout Brooklyn and beyond. The museum’s website describes the annex as an art and play space designed for children ages six months to six years. SPARK will feature an outpost of the museum’s popular Brooklyn Block Lab exhibit, and daily art and design workshops, music classes, birthday parties, and more. The Wall Street Journal reports that the space was donated to BBP by Alloy Development and Monadnock Development, the partners behind the luxury building where the museum annex is housed, through a 5-year-lease that is eligible for five 5-year extensions. Alloy and Monadnock also provided the start-up money and paid about $350,000 to convert the site for SPARK’s use and furnish the space, which Alloy designed. SPARK will be free on Thursday afternoons, and during warmer months, the museum will offer free activities on the outdoor plaza. There will be Friday morning play date sessions for new parents and caregivers with children ages 0 to 24 months. Among other offerings are semester-long early childhood classes open for registration. The museum’s educators will also partner with P.S. 307 in Vinegar Hill to develop teaching programs. For more details about admission and hours, click here. Someone who writes this kind of thing has kids? What does “plaques for blacks” even mean??? I guess Trump’s getting at least one vote in the nabe. I’m beginning to understand some of the issues in our community a little better. Thanks for clarifying your bigotry. Why are you trying to hide your world view? Really hoping this… thing(?) doesn’t actually live anywhere near BK Heights. Looks like a dummy account. I share your hopes but have concerns. It was only a few months ago the First Unitarian Church had “Black Lives Matter” signs torn down on two different occasions. Yep and you obviously haven’t grasped its meaning…. Ignoramus. Sheesh. About the level of spelling you’d expect from a Trump supporter too. This is great stuff! What else do you have to say? Please share all your thoughts with us! Tell us about your victimhood! Please do finish your thought. And thank you for providing entertaining web content. As far as politics go, I vote for Democratic Party candidates and I despise racists. Your comments have been flagged. Please be patient while we try to delete the reprehensible comments of “Colleen Pater” and block him forever. We’re sorry to subject everyone to his hate speech and his hijacking of this post. As a free speech advocate I’d actually like to see this fizzle out on its own without intervention. I’m guilty of egging on the troll here, that was earlier in the day and I was feeling foolishly punchy, I’d be wiser to ignore him/her and would encourage others to do the same. Silencing people is never a good solution, I feel. The terms of service of the blog are very clear. These comments are hate speech. They cannot and will not be tolerated. That’s fair. Just wanted to state my position. Thanks for your work!